At 2015m, it is one of the highest peaks in Eastern Canada. It is the unique features however that set Asgard aside from the rest. The flat tops towering 1600m above the valley floor, the 1 kilometer tall twin vertical faces and the cylinder shape create a majestic sight. 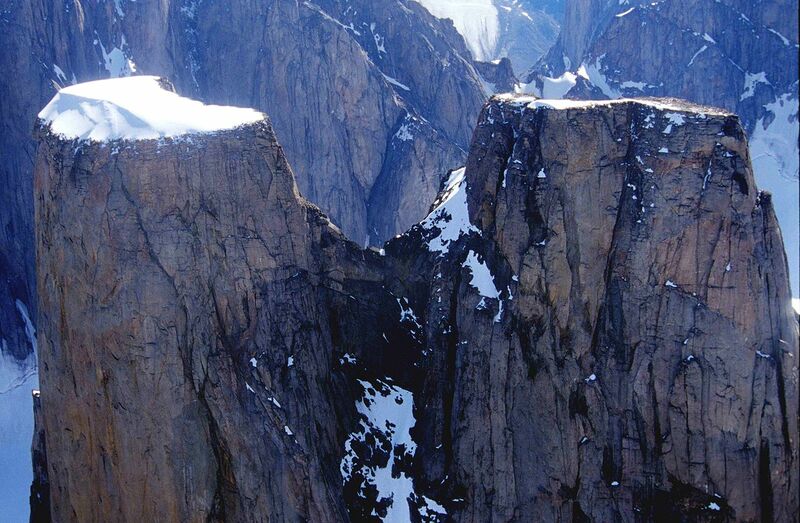 Most difficult climbing routes on Baffin Island can be found on Mt. Asgard. The North peak was first climbed in 1953 and the south summit in 1971. Asgard has also had its time on big screen. In 1976 it was featured in the opening sequence of the James Bond film The Spy Who Loved Me when Bond escaped the bad guys by skiing off the mountain with a Union Flag parachute. The fictional setting was the Austrian Alps. Mt. Asgard is incredibly remote and the only easy ways to view it would be helicopter or plane. To get to the mountain without these vehicles, here are the rough steps on how to get there. First, take a flight to Pangnirtung. From Pangnirtung you must take a 30km boat ride to the entrance of the Auyuittuq National Park. From the entrance you will walk along the valley floor fording the river and its runoff streams until the glacial lake. Mt. 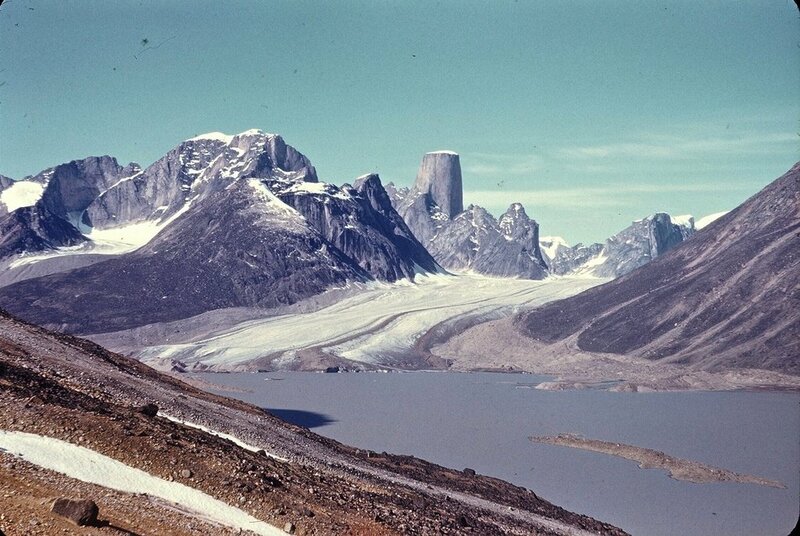 Asgard is north from the lake and you will still have to cross Caribou glacier to get to the foot of the mountain. There are some adventure companies organizing group trips to the area in groups of 10-15. The cost of these are around $3000-$5000CDN but to get the exact prices, you can visit for example www.adventures.ca. Climbing permit is 15CAD per day. 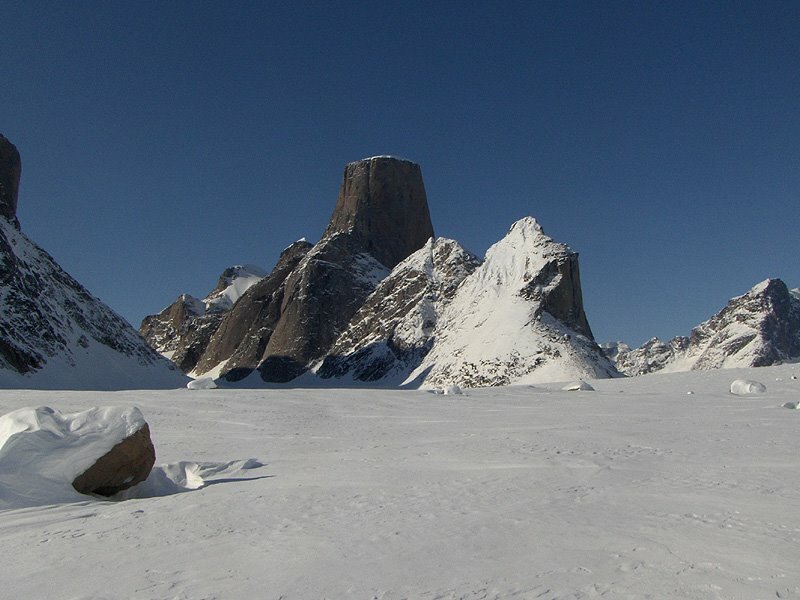 Mount Thor on Baffin Island is a granite peak that features the world’s tallest purely vertical drop.